By Steven Lin - Sports Editor · January 24th, 2019 at 4:02 p.m. 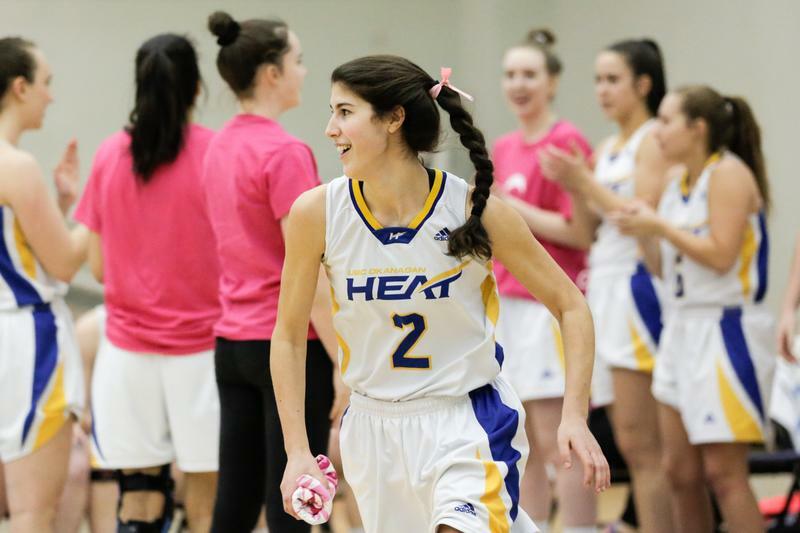 The Heat women’s basketball won their first game of the season against the MacEwan Griffins, with a final score of 60-51. The veteran duo, forward Jordan Korol and guard Vanessa Bottleselle, lead the Heat towards their long awaited victory last Friday. Korol finished the game with a strong double-double of 17 points and 15 rebounds under a field goal of 53.8% (7-13). 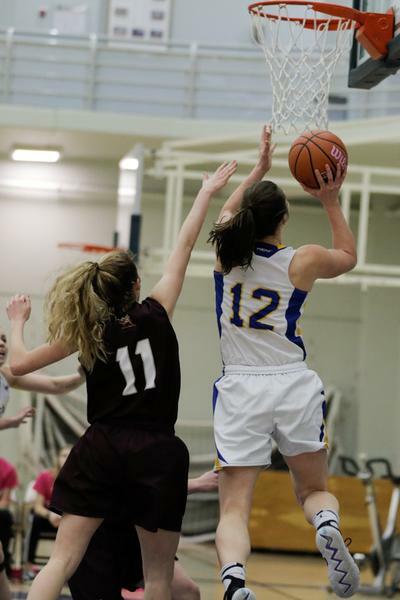 Bottleselle had a close triple-double performance, finishing with 19 points, 10 rebounds, and an outstanding performance of eight assists that contributed to half of the total team assists. The crucial turnout started in the first quarter as the Heat took the lead with six straight points, building up to the score of 21-13 by the end of the first frame. Throughout the whole game, the Griffins could not reverse the score gap since the Heat held on firmly with excellent team play in both offence and defense. The Heat guarded their paint firmly with 48 rebounds, out-beating the Griffins with 10 more rebounds. Besides the advantage in the rebounding position, the Heat finished the game with a high team field goal of 36.7% (22-60), while the Griffins only had 28.6% (18-63). This victory marked the end of the Heat’s long dry spell and endless losing streaks. The last time the Heat won a game was on February 10, 2017 against the UFV Cascades in a close scoring match 64-62. “We played some tough teams in Winnipeg over the break, had some good stretches, and trusted the process that things will work out. It was a good team effort. We felt it the whole week,” said Head Coach Bobby Mitchell. This weekend, the Heat women’s basketball will have their last series match in their home court against the Victoria Vikes. Students are encouraged to come and cheer for the last basketball series at 6 PM on January 25, and at 5 PM on January 26.